Home » Blog » When to Use a Press Release? Press releases are mostly used for self promotion, announcements or as a secondary support to your advertising campaign. But not many writers or even companies understand why it is important to use them and when to use them. Let me give you a few basic pointers highlighting the importance of this media vehicle. A press release that has anchor-text links included in it acts like a letter of authority for your site in search engines. Remember that using targeted anchor text is crucial for gaining domain authority over web competitors who are not using this tactic as yet. However, the trick of doing this right is not to over kill. Too many web links and both the reader and the search engines will spot your magic trick and you will lose both readership and search engine support. So, be careful. 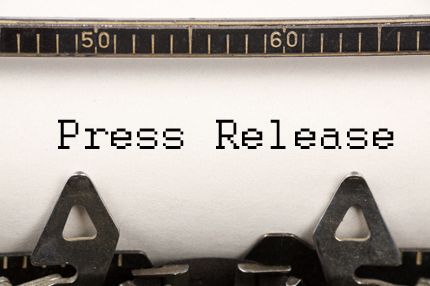 Even today a press release is the preferred mode of communication in the mainstream media. On the web, everyone is looking for something mid-blowing and unique, so make your press release as eye-catching as possible and in the most professional manner you can. Even if media does not pick up your story from your release, if its power and authority are spotted by an influential journalist, he/she might subscribe to your blog and earn you recognition. A good press release will ensure that major wire services with large channels of distribution send you niche-specific traffic. Remember, press releases reach a highly influential target audience like journalists, bloggers and reporters. Once this community sees your professional release, they could direct highly targeted traffic your way as a result. Press releases have a way of making their way in the search engine rankings and can rank well in major search engines, as long as they provide a unique and niche based blog. Sometimes, all it takes is a single highly optimized press release item to break onto the first page of a search engine. The rest as they say is history. So, get going on a good and professionally written press release service. Previous postWriting a Product Review that Sells Next postDifference Between Blog, Website Copy and Article in Marketing!